Jambo! Bwana Asifiwe! Welcome to the Kenya Mission Network! The Kenya Mission Network began in 2003 as an interrelated association of Presbyteries, Churches, individuals, and mission agencies that are partnered in missions between the Presbyterian Church of East Africa and the Presbyterian Church (USA). That framework continues today, but we also welcome other denominations and groups that share our purpose. The Network provides a forum to worship together, and also to exchange ideas, joys, challenges, concerns and vision about cross cultural missions. The work and witness of partnerships are encouraged and fortified through programs and fellowship at Network gatherings, which are scheduled annually. 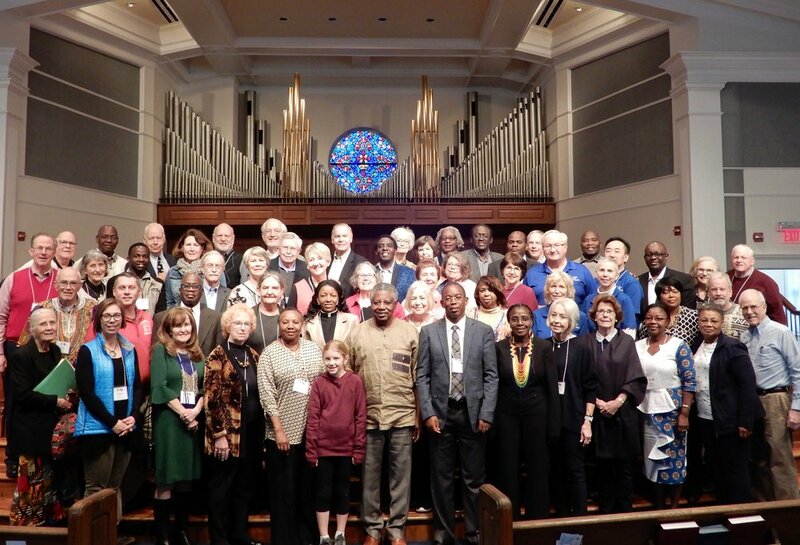 The 2019 Kenya Mission Network Gathering took place March 28-30 at Westminster Presbyterian Church in Alexandria, Virginia. This conference’s theme was “Education in Kenya: Lighting the Fire”- it commenced with dinner on Thursday, March 28 and concluded midday Saturday, March 30. Mission capabilities grew, ideas were exchanged, relationships were strengthened, and faith was nurtured! Many thanks to our wonderful hosts at Westminster Presbyterian Church, to all on the KMN Council who created a very meaningful program, and to all the dedicated presenters and participants from the USA and Kenya. Click on the following buttons to view the conference Agenda, speaker biographies, and presentations. Scroll down further to view a slideshow of photos from the Gathering. The International Partnership Conference in Nairobi, Kenya was hosted by the Presbyterian Church of East Africa in February, 2017. At the Conference the document titled Best Practices for Mission Partnerships, originally adopted in 2012, was reviewed and revised to reflect best current practices. Click here to view or download the document as affirmed in Nairobi. For the full report from the Conference, click on the Events tab at the top of this page.